Maeve (RYT-200) is a yoga teacher based in Woodstock, VT. In 2008, she turned to yoga as a way to heal the physical and emotional pain of Lyme disease and heartbreak. She completed her yoga teaching training with West Hartford Yoga in 2009 and five years later, she became a certified Y12SR (Yoga of 12-Step Recovery) instructor. By offering a foundation for emotional release and spiritual growth, Maeve hopes to teach her students that every day is a new opportunity for self-love and self-care. Malaika (E-RYT-500) is a full-time teacher of the tantric tradition of Hatha Yoga, group fitness instructor and personal trainer based in Burlington, VT. She has a degree in Social Work from the University of Vermont, and she holds certifications in the Tantric tradition Hatha Yoga, Yoga Nidra, TRX-Suspension Training, Aerial Yoga, H2OM (SUP Yoga), and is an ACE certified personal trainer. Chris is a veteran entrepreneur and partner at Focus Acquisition Partners. During his career, Chris has owned and successfully grown a series of middle market business services and manufacturing companies. 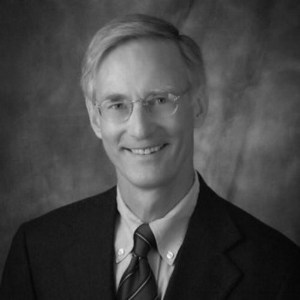 He is an active private investor, and he was a founder of the Flagship Bank (Worcester, MA). With a MBA from The Tuck School of Business at Dartmouth and experience as a management consultant at Monitor Deloitte in Boston, Betsy brings a unique perspective to health. She understands business and wellness goals and works with senior leaders to develop and implement customized, outcomes-based experiences. Amanda has been practicing yoga for about 15 years and completed the Soma Yoga Institute’s 200-hour certification in 2015 through Mighty Yoga in Hanover, NH. 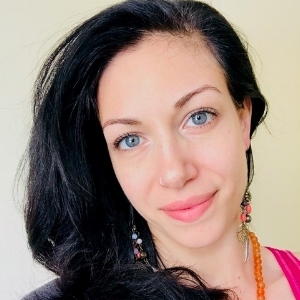 She recently completed additional training on offering trauma-informed yoga through the Prison Yoga Project's training at Sangha Studio in Burlington, VT. When she's off her mat, Amanda works as the Marketing Manager for Northern Stage in White River Junction, VT and spends time working on her small family farm in Vershire, Vermont – Opera House Farm – where she raises chickens and goats. Jen (RYT 200) is a full-time yoga and meditation teacher with over 600 hours of teaching experience. Jen began her committed yoga practice doing Ashtanga yoga and trained in Yin yoga and therapeutic yoga models. She aims to help people connect with themselves through movement, and her style is gentle and focuses on nourishing and hydrating tissues and mind, body, spirit integration. Ann (RYT 500) is a seasoned mind-body wellness professional and works as a psychotherapist based in Hardwick, VT. She has been teaching yoga since 2001, and in her classes she cultivates safe spaces for people to experience integrated physical, mental, and emotional experiences. Among her yoga training, Ann has focused on Gentle Somatic Yoga® as a means of increasing body awareness, decreasing pain, and building pathways of communication between the body and the brain. Ann’s therapeutic work has focused on attachment, trauma, patterns of addiction, and chronic illness. In addition to yoga and psychotherapy, Ann has training and experience as a nutritionist and herbalist. Sarah advises on fitness industry trends and studio building and construction projects. She is the founder and chief trainer at Fitfighter, and she also works full-time as the Director of Expansion and Facilities at Groups. Previously, Sarah was the Director of New Stores & Facilities at Warby Parker. Sarah also has a M.B.A from the Tuck School of Business. Lauren Burghard has been practicing Yoga since 2008 and received her formal training and a 200 hour certification to teach from the Kripalu Center for Yoga and Health in 2017. Lauren studied psychology and philosophy at Saint Michael’s College in Vermont and received her BA in 2011. Her early studies were sparked by an interest in Western pharmacology, addiction, counseling, and therapy. Lauren (E-RYT200) is a Boston-based yoga teacher and Licensed Clinical Social Worker with over seven years of experience. Lauren’s yoga practice emphasizes mindfulness, energetic flow, and self-reflection to deepen the mind-body connection. Her classes are accessible to all levels, and she firmly believes that yoga is for every body. Lauren encourages her students to take their yoga skills off the mat and into everyday life. This belief and her desire to give back led her to found the Free Yoga Medford summer program, which is in its second annual season. Cara (RYT 200) is a yoga teacher and psychotherapist in Burlington, VT. In her classes, Cara creates safe spaces for nonjudgmental self-exploration. She helps students use yoga as a tool for mood balance, and she has experience teaching to participants who may have experienced trauma. Cara has practiced yoga for ten years. Josh is a Designer and Innovation strategist. He is currently the Global Director of Design and Innovation at Keurig Green Mountain. Prior to Keurig, Josh worked at IDEO, New Balance Athletic Shoe, and General Motors. Josh holds a B.A. in Industrial Design from Syracuse University and a M.A. in Design Planning from the Institute of Design in Chicago.